As the most famous ending in Hollywood history, this scene needs no introduction. What’s interesting is what happened behind the scenes. They had several endings, but none of them seemed to work. Director Michael Curtis had to shoot the ending without a screenplay. Bergman admitted that her performance in the last scene was completely driven by the uncertainty of which man she would follow. Rick’s famous last line “Louis, I think it’s the beginning of a beautiful friendship” was totally improvised too. That’s the legend of this unforgettable ending. In the finale of Federico Fellini’s masterpiece, a group of high-class people come to the sea shore. After the appearance of a sea monster that symbolizes the evil, Marcello meets the girl again. The girl is trying to tell him something, but Marcello doesn’t hear or understand what she’s saying. The girl’s enigmatic smile in the final shot offers open interpretations. Antonioni is the master of creating great endings. At the end of his less-known classic, Locke lies down on the bed, then the camera moves slowly towards the barred window, crosses it and goes out. We see a police car coming to the yard, the policemen go into the hotel. The camera turns a half circle and reveals the room it has just left. Locke is still on the bed but he seems to be dead now. This is an amazing long take, but what stays with us is not the technique but the sense of uplift it creates and the tranquil fashion the film ends. A perfect ending to a perfect film. The ending of The God Father 2 is a flashback scene of a get-together during Vito’s birthday. We can get a general sense of the character of every Corleone member, Coppola puts this at the end not only to give the film an almost Shakespearean tragic feel, but also to emphasize Michael’s alienation from his brothers. He is always alone. Andrei Tarkovsky’s first film shot outside his home country, Nostalgia is a poetic film about nostalgia and faith. At the end of the film, the Russian writer Andrei comes to the pool to fulfill his promise. He enters the pool and lights the candle, he needs to come from one end to the other without letting the candle extinguish. After several attempts, as he finally makes it, he dies. Tarkovsky shot this scene in a long take, which amplifies the power of faith and the exhaustion of keeping it to the maximum. There is nothing like the ending of Antonioni’s masterpiece. Piero and Vittoria agree to meet again somewhere in Rome. But for the last five and a half minutes of the film, they do not show up on the screen. What we see instead is a montage of a series of locations they have been together. It’s beautiful, haunting, bold and imaginative. A profound meditation on love and time. A profoundly moving ending. The old Bathazar, after being maltreated by evil human beings, comes to a hill. Director Bresson keeps the camera static so that we will watch the poor donkey slowly dying in front of our eyes. As human, we can’t help but sympathize with the creature and look deep into our own soul. Near the end of this Neo-Realism classic, a father and his son cannot find their lost bicycle. In an unexpected turn, the father steals one and gets caught in front of his son’s eyes. The man who gets stolen becomes the man who steals, it’s more a social issue than a moral issue. At last, the two walk in the street with no future ahead of them, bitter ending. At the end of Francois Truffaut’s semi-autobiographical New Wave masterpiece, the boy Antoine escapes from his school again. The camera tracks his long distance run to the sea, then he comes back and a freeze frame captures his puzzled look. Everyone who ever grew up would understand the meaning of it. Like the opening of his Once Upon a Time in the West, this ending is also epic. Leone shot this duel scene like no one before, he rapidly cuts among the three protagonists, takes big close-up shots of their body parts, guns and eyes, tension is built in a highly effective way. Morricone’s uplifting score gives this scene a sense of opera. This death ballet remains one of the greatest movie scenes ever. 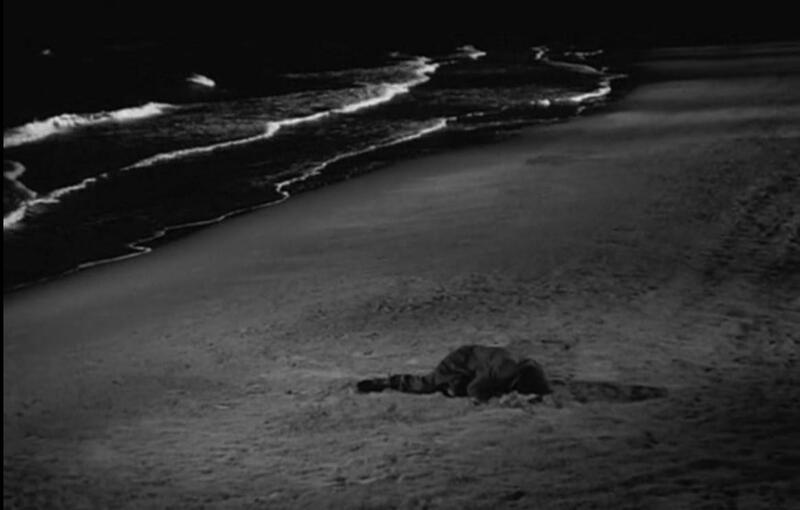 In one of the most emotionally draining endings in cinema history, Zampanò learns about the death of Gelsomina, he gets drunk, comes to the beach and breaks into tears. For the first time in the whole film, the beast feels the loneliness, regret and loss. It’s a moment of awakening, but it comes too late. This is the most beautiful, romantic and heart-warming moments in all Chaplin’s tramp films, and also one of the most moving scenes in film history. You can’t watch it without shedding tears. The blind girl recognized the tramp by a subtle touch to his hands, “yes, I can see now” is not only a perfect line to end the film but also a statement made by the director that “seeing is more important than hearing in cinema”. In one of the most iconic and daring endings in film history, after the real funeral of Harry Lime, Holly Martins waits for Anna at the side of a long alley. It’s a symmetrical long take, the leaves are falling and the Zither music is always there. Anna walks very slowly towards us, she passes Holly and then the camera. There is always only Harry Lime in her heart. This last shot is beautiful, tense and sad at the same time. It’s an audacious anti-happy-ending at the time. You just can’t end a film better than this.